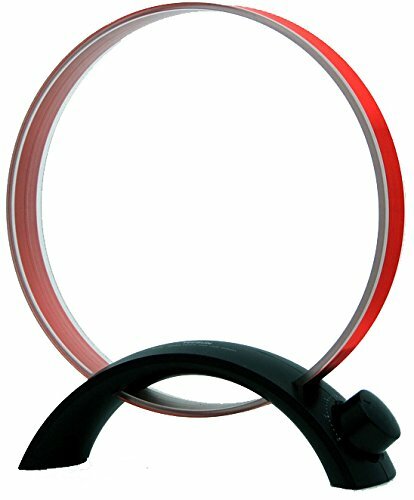 Tecsun AN-200 AM/MW Rotatable Tuneable Loop Gain Radio Antenna(No Battery Needed) by Tecsun at Home Entertainment Centers Online. MPN: ＡＮ-200. Hurry! Limited time offer. Offer valid only while supplies last. Description: AN-200 Loop Diameter: 9 inches / 230 mm AN-200 tunable medium wave loop antenna is designed for receiving AM (medium wave) broadcasting. AN-200 tunable medium wave loop antenna is designed for receiving AM (medium wave) broadcasting. This antenna covers the frequency of the medium wave broadcasting band. It performs well to improve signal reception in places where EM1 noise or strong shielding conditions exist. 1. Connect the AN-200 medium wave annular antenna to the audio modulator, car radio or medium wave line-in socket of the radio. If your radio does not have a medium wave line-in socket, the annular antenna can be placed nearby the radio and close to the radio's MW build-in antenna. 2. Set the radio at medium wave band. Then turn the tunable button on AN-200 medium wave annular antenna to receive the best frequency signal until the sound from the broadcasting channel is clear and stable. 3. AN-200 medium wave annular antenna can perform its best function by moving it to the right direction.